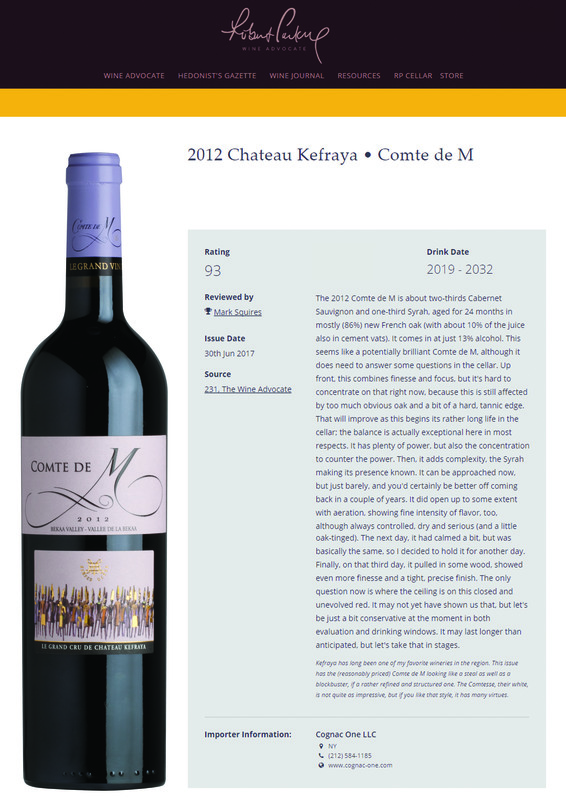 cognac-one | 93 Points from The Wine Advocate for the Comte de M! 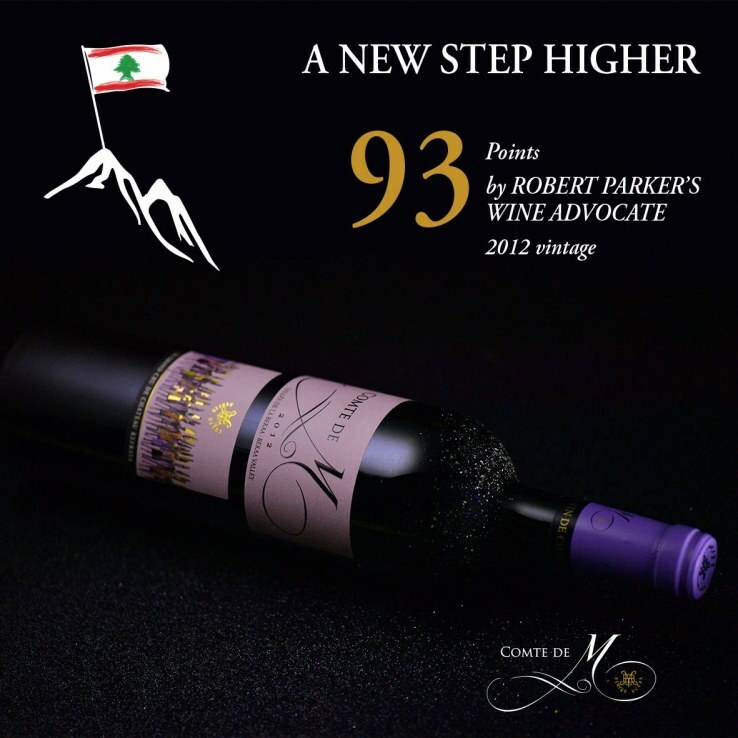 Chateau Kefraya‘s Comte de M 2012 has received an excellent rating of 93 Points from the illustrious The Wine Advocate by Robert Parker (robertparker.com). 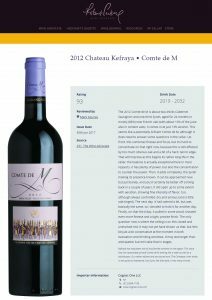 “The 2012 Comte de M is about two-thirds Cabernet Sauvignon and one-third Syrah, aged for 24 months in mostly (86%) new French oak (with about 10% of the juice also in cement vats). It comes in at just 13% alcohol. This seems like a potentially brilliant Comte de M, although it does need to answer some questions in the cellar. Up front, this combines finesse and focus, but it’s hard to concentrate on that now because this is still affected by too much obvious oak and a bit of a hard, tannic edge. That will improve as this begins its rather long life in the cellar; the balance is actually exceptional here in most respects. It has plenty of power, but also the concentration to counter the power. Then, it adds complexity, the Syrah making its presence known. It can be approached now, but just barely, and you’d certainly be better off coming back in a couple of years. It did open up to some extent with aeration, showing the fine intensity of flavor, too, although always controlled, dry and serious (and a little oak-tinged). This wine can be aged in the bottle and you can drink between the years 2019-2032. This wine is perfectly paired with game, black truffles, and matured cheese.